The cop leading the Maddie hunt was blasted yesterday after he and two colleagues spent two hours boozing - at lunchtime. 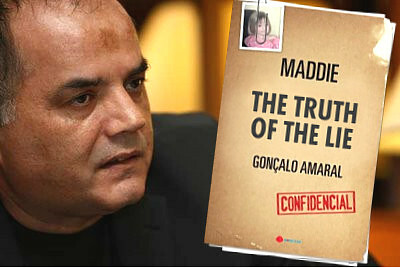 Chief inspector Olegario Sousa downed wine and whisky with fellow Portuguese officers as a restaurant TV screened Maddie's anguished parents at a Berlin press conference. A British snapper was ARRESTED after he spotted Wednesday's long lunch in the Algarve resort of Praia da Luz, where Maddie vanished. He was held at a police station for four hours and had his camera confiscated. An onlooker told how Sousa - who has appeared on TV fronting the inquiry - relaxed with officers including detective Goncalo Amaral. 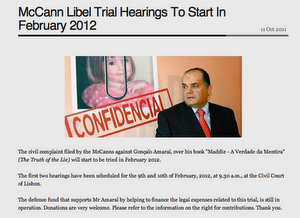 The witness said: "When I left, one was still slumped in his chair."